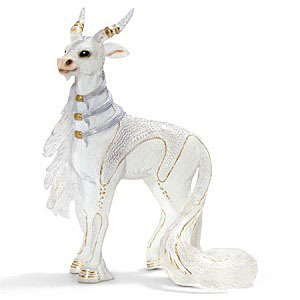 Schleich 70459 - The world of Bayala is full of magical and mysterious creatures. The magical Asian being can only be seen on clear, moonlit nights in the white forests of the Dragon Mountains. Sometimes, on very rare occasions, it shows itself to the elf children. Just how it gets to the elves' meadows unseen will likely remain a mystery forever.